(VEN) - Leaders of the Communist Party and the State are seeking ways to resolve problems currently facing the Thai Binh 2 Thermal Power Plant project to put it into operation as soon as possible. This is an urgent task to prevent wasteful investment and ensure national energy security as well as social security in the region where the project is based. 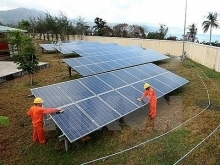 The adjusted National Power Development Plan VII indicates that if the Vietnamese economy grows an average seven percent per year, the country will need 235-245 billion kWh of electricity by 2020, requiring total capacity of its power plants to reach more than 52,000MW. By 2020, total capacity of coal-fired thermal power plants nationwide is expected to reach about 131 billion kWh, meeting 49.3 percent of the national demand. Vietnam currently has 19 BOT (Build-Operate-Transfer) thermal power projects. However, only three of these (Phu My 2, Phu My 3 and Mong Duong 2) have been put into operation, while two projects are under construction, and one project is still in the process of pre-construction preparation. This means 16 projects remain under negotiation. Therefore, creating additional power sources to serve socioeconomic development is of urgent necessity. Aware of this, the Vietnam National Oil and Gas Group (PVN) has maintained continuous investment in power source projects since 2007. It has put into operation four gas-fired thermal power plants, three hydropower plants and one coal-fired thermal power plant with total capacity of 4,208.2MW. Currently, PVN is accelerating research and development activities related to gas-fired power projects, such as the ones using gas from Lot B of O Mon Field, the one using gas from the Ca Voi Xanh Field, and power projects using liquefied natural gas (Nhon Trach 3 and Son My 2). PVN has put into operation the Vung Ang 1 Thermal Power Plant and is accelerating three other thermal power projects: Long Phu 1, Song Hau 1 and Thai Binh 2. 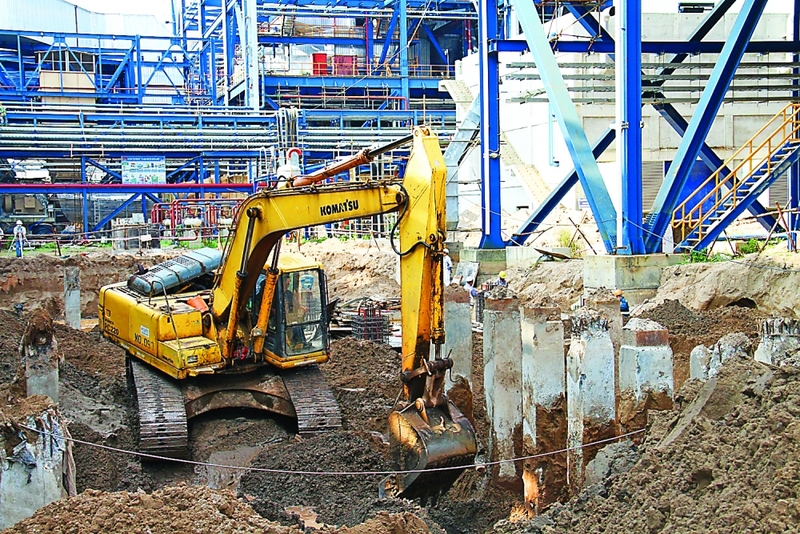 So far, more than 83 percent of work related to the construction and installation of major equipment items at the Thai Binh 2 Thermal Power Plant has been completed. With design capacity of 1,200MW, the Thai Binh 2 Thermal Power Plant will generate about 7.2 billion kWh of commercial electricity for the national power system annually, contributing to ensuring national energy security. At the inauguration of the Thai Binh 1 Thermal Power Plant, Prime Minister Nguyen Xuan Phuc said the government had reported to the Politburo problems facing the Thai Binh 2 project and expressed his wish to get them resolved for the project to be completed next year, paving the way for the establishment of the Thai Binh Power Center. 2020 can be considered the deadline set by the government for completion of the Thai Binh 2 thermal power project. However, PVN alone cannot meet this deadline due to a lack of funds for remaining work items because banks have suspended loan disbursements since September 2018. PVN has taken the initiative in using its equity to cover this lack of funds, but this is just a temporary solution. 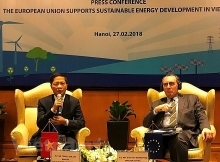 Problems of the Thai Binh 2 thermal power project can be resolved in two directions: 1) re-assessing the project's effectiveness to provide the basis for consideration of additional state funds for it; and 2) seeking funds from other sources and tighten financial controls to complete the project according to the schedule set by the government. If things go in the first direction, it will take much time to re-assess the effectiveness of the project, leading to increases in management costs, amortization expenses and loan interest. So far, VND32 trillion has been invested in the project, including loans and PVN's capital. The amount of interest arising from the loans amounts to VND6 billion per day. Therefore, the longer the project's implementation lasts, the more difficult it will be to recover the amount of capital invested in it. If the project is carried on in the second direction, there will be opportunities to accelerate its completion and recover invested capital. The investment of an additional VND2.5 trillion in the completion of the 17 percent remaining work is expected to bring clear benefits. The national power system will be supplied with an additional 7.2 billion kWh of electricity per year, reducing power shortages. Moreover, when the plant operates, it will create revenue, enabling its investor to fulfill financial obligations to sponsoring organizations, thus contributing to the state budget and generating jobs for local workers. The government's standing committee has held an exclusive meeting to discuss measures to resolve difficulties facing the Thai Binh 2 thermal power project. Its investor and construction contractors are waiting for the final decision from the government.